Right now it's all about dressing up, princesses, the color pink and a little bit of purple. 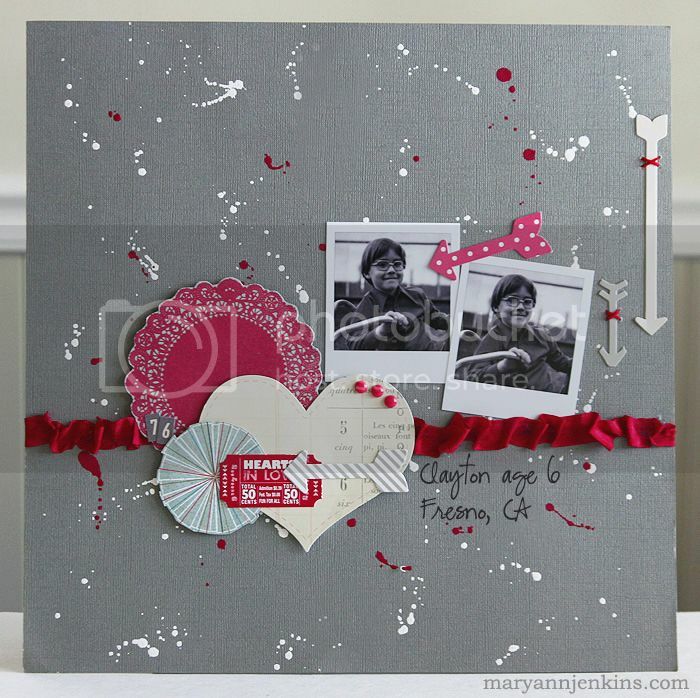 I have a layout to share today, made with the January add-on kit from the Paper Bakery. That's my Mom in the photo, on her first day of school in California, after moving from Arkansas in 1940. I used my Martha Stewart fringe scissors (again!) 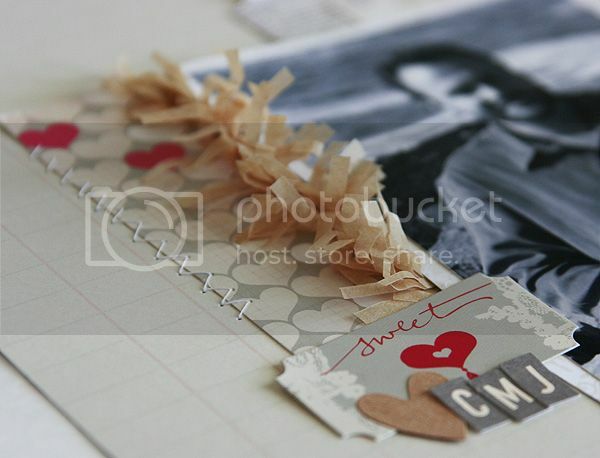 and added kraft tissue paper to the heart banner and made a flower embellishment with it too. This is the only school related pic I have of my Mom, up until her high school graduation photos, so I sure am happy I have this one! Well, a new week is upon us, enjoy! I've been asked to join the Pretty Little Studio Design Team!! Valentine's day will be here before you know it. 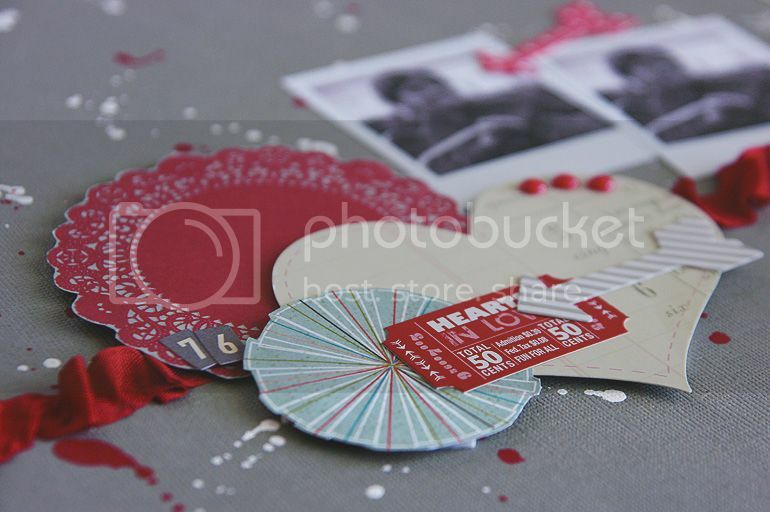 I may or may not already have our valentine decor up ;) I have a new layout too, not really for Valentine's day, but it does have hearts & arrows! 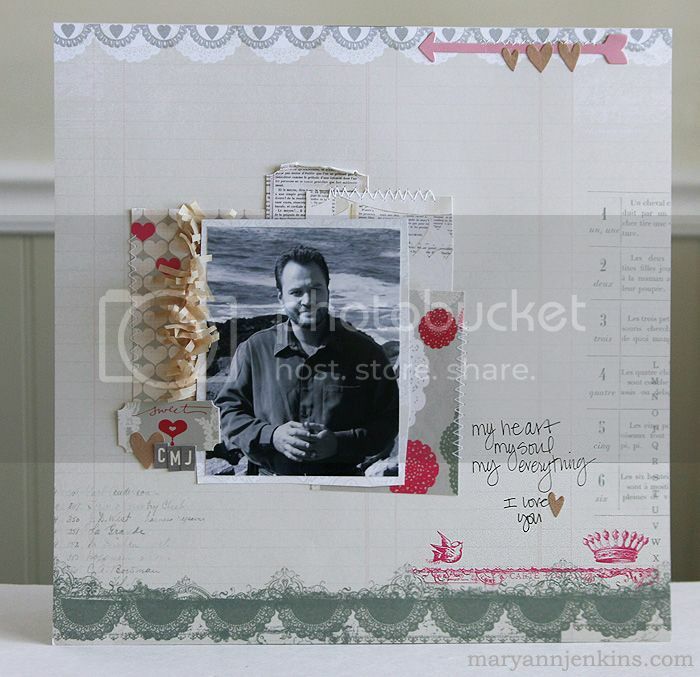 Along with the cute pics of my hubby, circa 1976, I used the January add-on kit from The Paper Bakery. 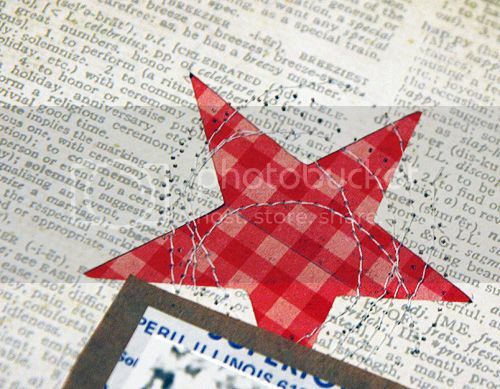 I did a little splattering with a bit of red & white paint, a little fussy cutting with some of the papers and a little stitching with embroidery floss. From there it was all layering. 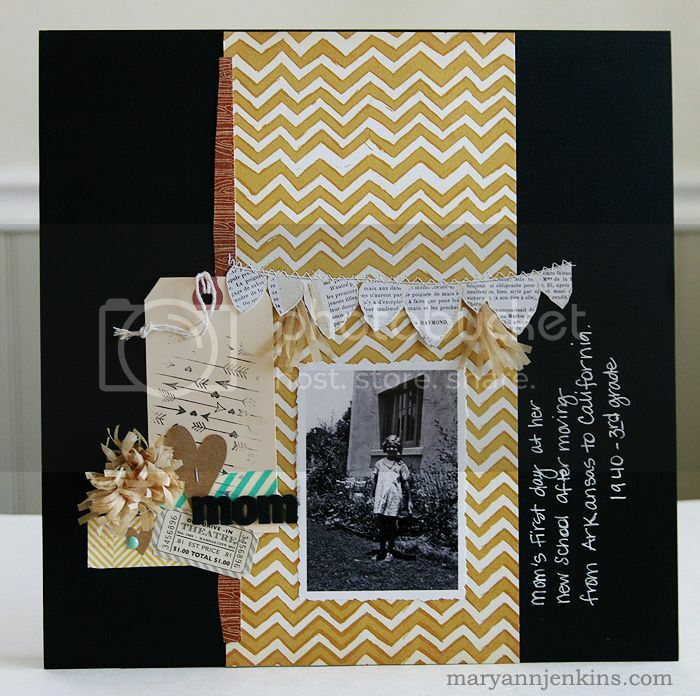 Another quick and easy layout to add to the family album. 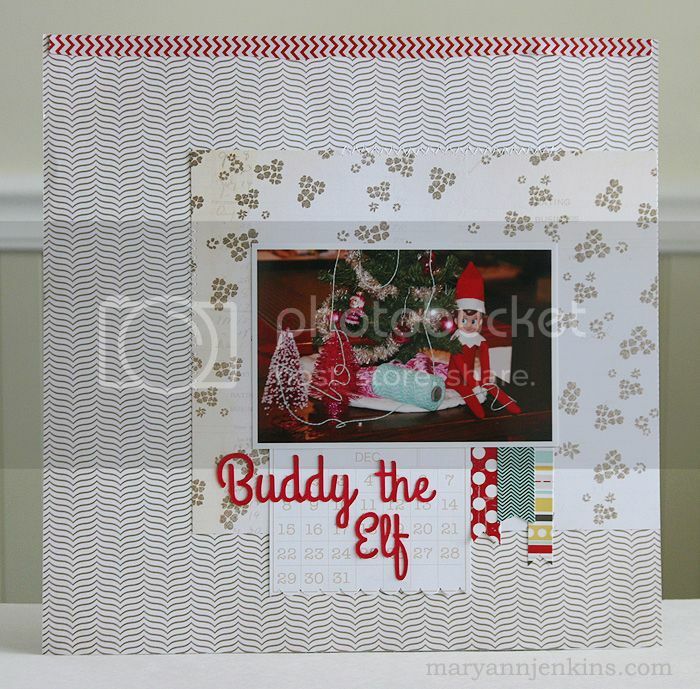 I used my Silhouette Cameo to cut the stars from the background paper, added the different patterned papers behind each one, then did a little machine stitching on top of each star. 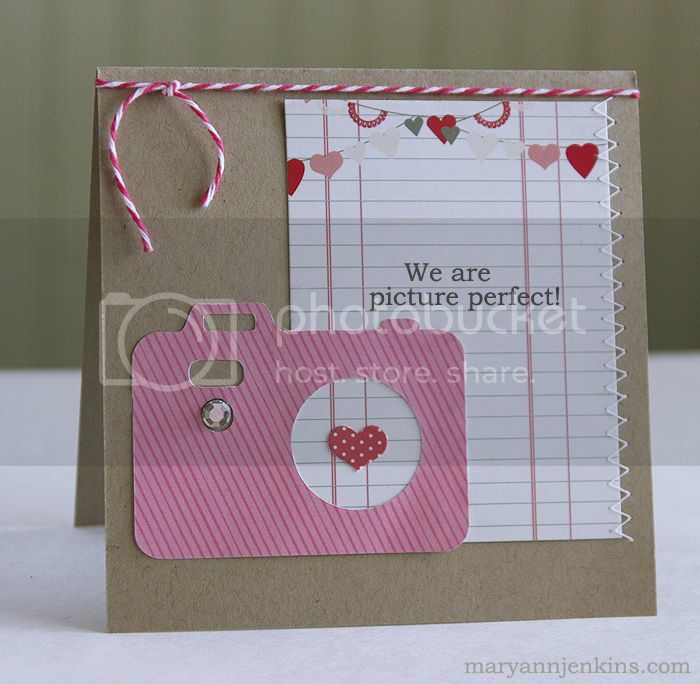 I also added the sweet little camera SVG cut file, included as part of this months kit!! Yes, the Paper Bakery now has cut files!! How cool is that! There are also trendy speech bubbles and arrows too!! 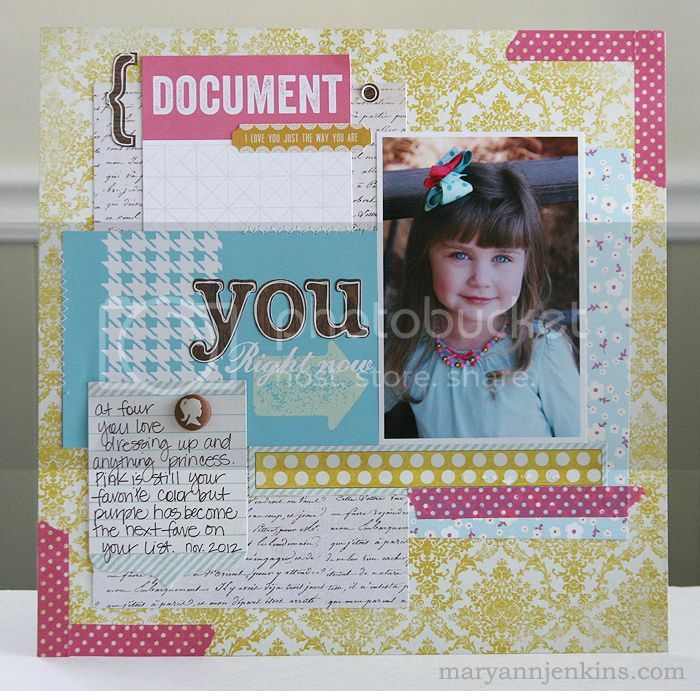 I'm looking forward to catching up with friends, and seeing even more of all the newest that will be coming to your local scrapbook store soon! 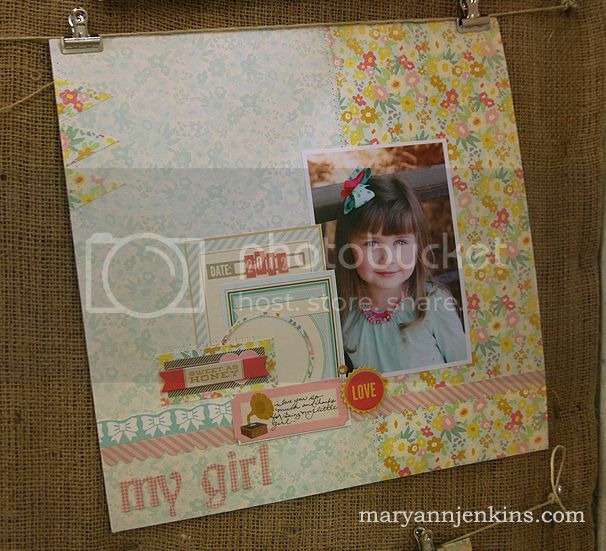 I'll have more layouts to share, and photos from CHA too! I love scrappin' old photos! I like looking back to a different time, a different place. Recently I've been working on pictures from my childhood, and even though I've hardly made a dent in the pile of photos, I'm having a great time reminiscing. Here I am at age 3, in front of the playhouse my Dad built for me. I loved playing in that cute little playhouse!! 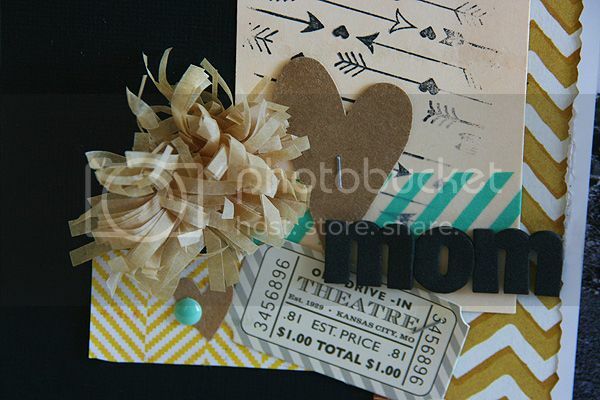 To add to the whimsical feel of the layout, I added a row of diagonal stripe washi to a strip of white cardstock, then I used my Martha Stewart fringe scissors and cut all the way across the strip. 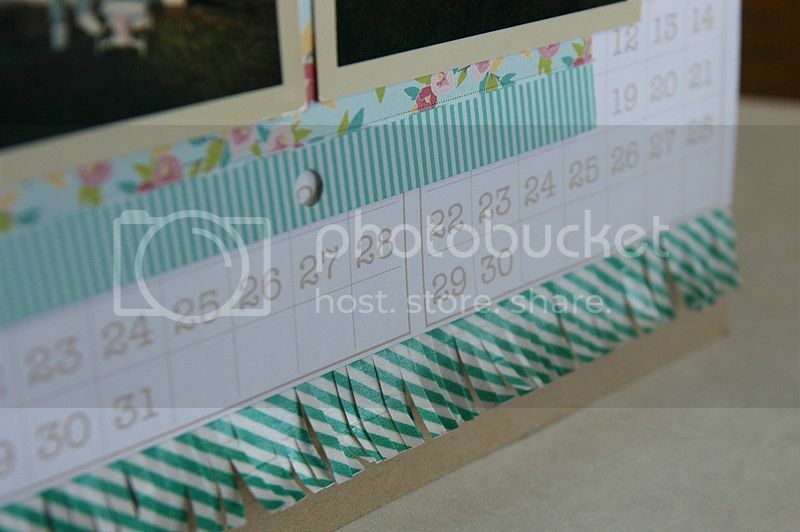 I adhered the "fringe washi" to the kraft colored cardstock and then added the rest of the layers to complete may layout. As always, thanks for stopping by today! 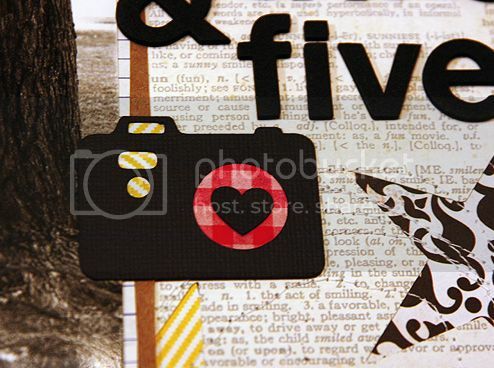 I love the enamel dots, wood grain letters and the cupcake washi! 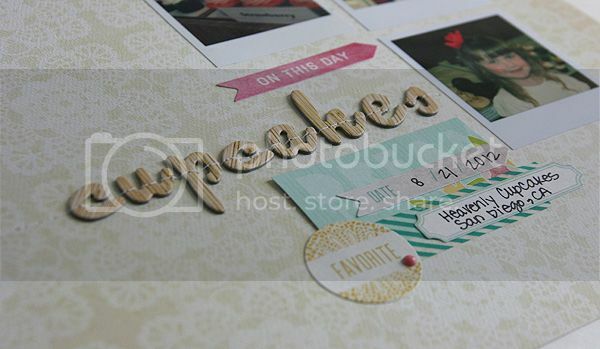 Such a quick and fun layout to remember an amazing day! Well, it's back to the routine. Winter break getaways are over, the holiday decor is back in the attic and a new year has begun. We are almost a week into 2013, and I'm excited to see what this year holds! 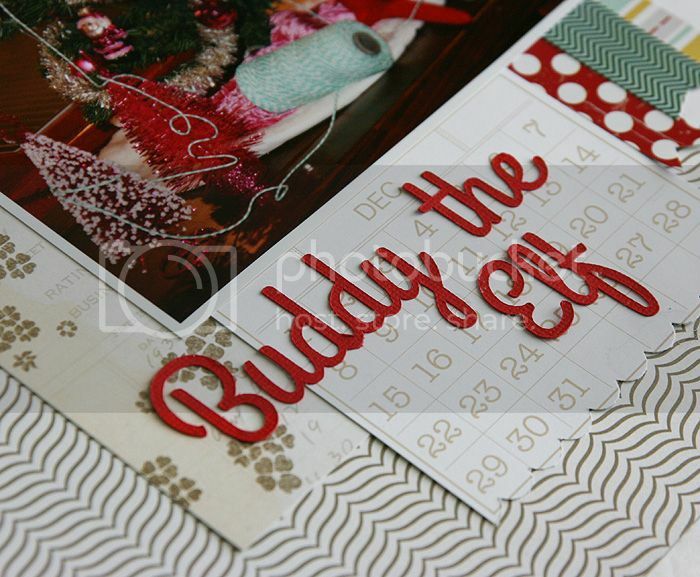 Even though Buddy has gone back to the North Pole until next December, I have this cute layout so we can look back and remember him all year. May your 2013 be a blessed and memorable year!